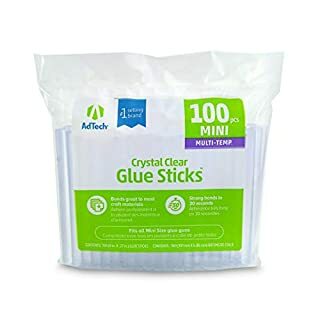 ADHESIVE TECH-100 mini round glue sticks. 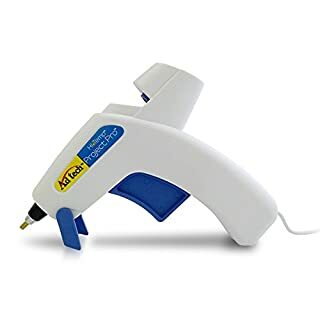 All purpose glue for low, high, and dual temperature glue guns. For all your creative home decor and repair projects. Size: 4x.28. Non-toxic. Conforms to ASTM D 4236. Ad Tech-Corded Cool Tool Kit With Glue Sticks. 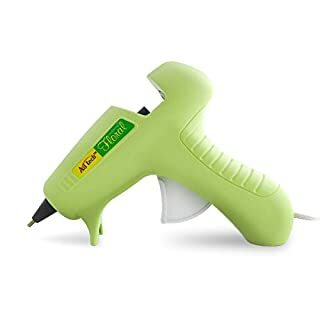 This ten watt glue gun is the perfect size for home projects requiring less glue volume and great for quick fixes and light duty use! This 8-1/4x6- 1/2 inch package contains one white glue gun with a 5 inch cord, and ten 4 inch long glue sticks. Imported. The Ideal Choice For Small Projects And Home Repairs, Working Well With Metals, Glass, Wood And More. The Drip-Less Nozzle Design Reduces Stringing And Resting Glue Drips. This Package Contains One 5.75X5.5 Inch High-Temp Mini Glue Gun With A Power Cord. Ul Listed. Imported. The Ideal Choice For Small Projects And Home Repairs, Working Well With Metals, Glass, Wood And More. The Drip-Less Nozzle Design Reduces Stringing And Resting Glue Drips. 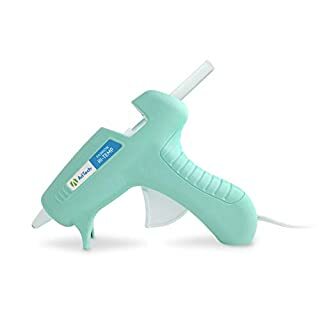 This Package Contains One 7X7.5 Inch High-Temp Glue Gun With A Power Cord. Ul Listed. Imported. 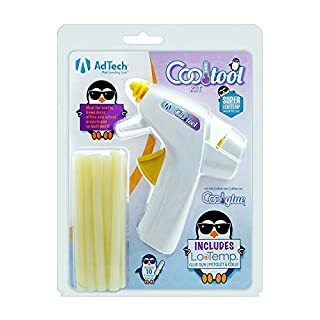 Ad Tech-Low Temp Combo Mini Glue Gun Kit. 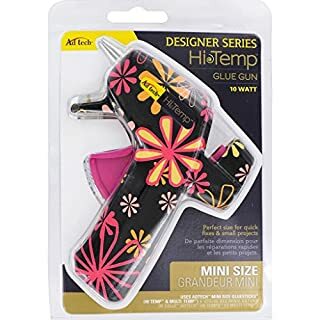 Ideal for crafts, floral, foam, and delicate materials! 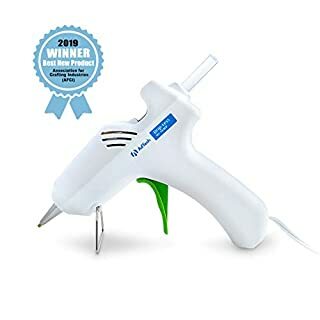 This package contains one 4-3/4x4-1/2 inch mini glue gun with a built in stand, a 5 foot electrical cord and ten low temp mini gluesticks. Non-toxic. Conforms to ASTM D4236. 10W/150V. UL Listed. Imported. 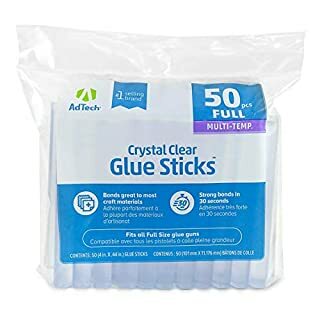 ADHESIVE TECH-50 standard round glue sticks for low, high, and dual temperature glue guns. For all your creative, home decor, and repair projects. Size: 4x.44. Non-toxic. Conforms to ASTM D 4236. Ad Tech-Crafter's Permanent Dot Runner. Great for office and kids' school projects! Adheres to paper, ribbon, photos and many other materials. 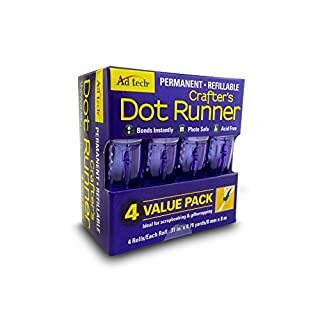 This package contains four dot runners with 8-3/4 yards of dot glue in each. Imported. ad tech a permanent glue runner. acid free photo safe and refillable. ideal for scrapbooking and giftwrapping. 0.31 x 8.75 yards. bonds instantly no mess gluing perfect for paper crafts. easy to refill and convenient to use. outside is blue but transparent so you can see through it. includes clear cap. 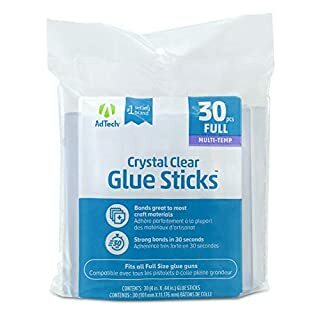 ADHESIVE TECH-30 standard round glue sticks. 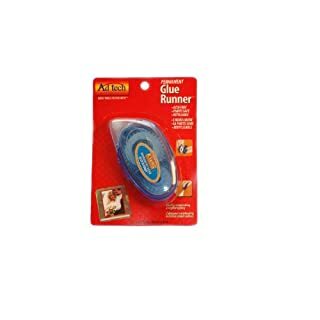 All purpose glue for low, high, and dual temperature glue guns. For all your creative, home decor, and repair projects. Size: 4x .44. Non-toxic. Conforms to ASTM D 4236. 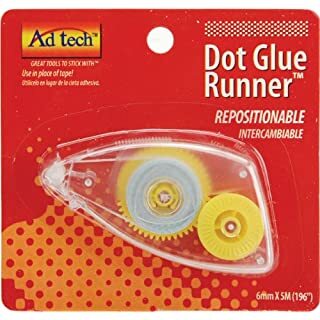 AD-TECH-Dot Glue Runner. 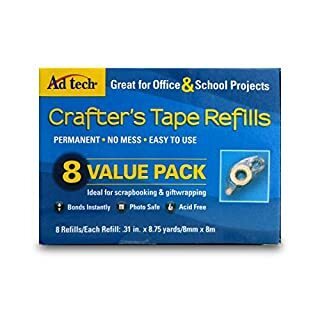 A great alternative to tapes, messy glues and spray adhesives! This temporary repositionable glue gives you some time to change your mind then sets permanent. Glue adheres foam, wood, paper, and many other porous materials. Acid free and photo safe. Dot glue path: 6mm wide with 196in/5m of tape. Imported. 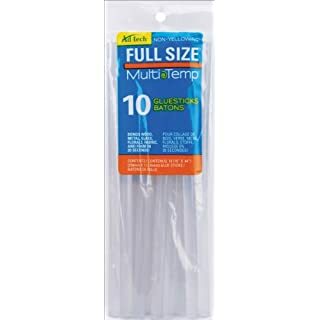 ADHESIVE TECHNOLOGIES-Full Size Multi-Temp Glue Sticks. Hot glue bond better to craft materials than most liquid glues. Multi-temp glue sticks are designed to provide a variable flow from low to high temperature. This package contains ten 10x7/16in glue sticks. Non toxic. Conforms to ASTM D 4236. Imported. 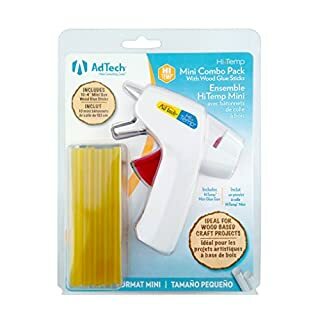 adtech project pro high temp glue gun. needle nozzle for precision gluing. extra wide stable stand. comfortable handle. designed by crafters for crafters. use mini size high or multitemp sticks. caution melted glue will burn skin. keep away from children. 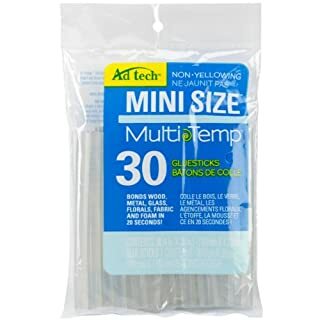 ADHESIVE TECH-30 mini round glue sticks for low, high, and dual temperature glue guns. For all your creative, home decor, and repair projects. Size: 4x.28.Non-toxic. Conforms to ASTM D 4236. 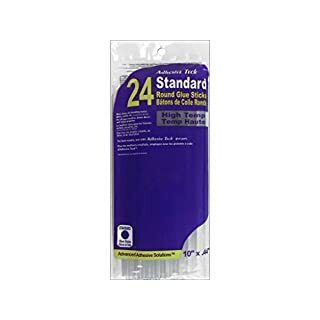 ADHESIVE TECH-24 standard round glue sticks for high temp glue guns. For all your creative, home decor, and repair projects. Best choice for bonding metal, glass, wood, etc. Size: 10x.44. Non-toxic. Conforms to ASTM D 4236. 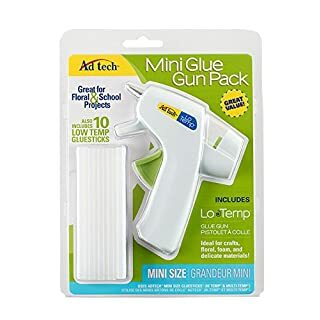 AD-TECH: Designer Mini Glue Gun. The perfect size for quick fixes and small projects. 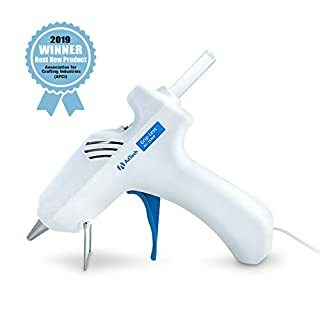 This package contains one mini glue gun with built in stand and a 5 foot cord. Available in a variety of designs; each sold separately. Imported. RISIKOLOSER KAUF: 30 Tage Geld zurück Garantie. Kaufen Sie jetzt risikolos das Produkt und erhalten Sie den Kaufpreis innerhalb 30 Tage erstattet, sollten Sie mit unserem Produkt nicht zufrieden sein. ANWENDUNGSHINWEISE:Benutzen Sie die Messer immer auf einem Holz- oer Kunststoffbrett, niemals auf Porzellan, Stein, Mamor, Glas, o.ä. harten Flächen. Dieses High-Tech Produkt darf niemal verwendet werden, um gefrorenes Essen oder Knochen zu schneiden. 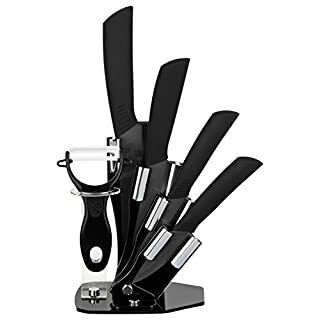 Nach jeder Benutzung sollte das Messer am Besten per Hand mit einem milden Spülmittel gereinigt werden. SICHERHEITSHINWEISE:Die Messer müssen immer außerhalb der Reichweite von Kindern aufbewahrt werden.